With January nearly over, one would think that exciting news hasn’t started for the year. Yet we’ve had developments in a cryptomarket hack, a new accused pump and dump, and more government interest than most could imagine. It looks like the first month of the year is wrapping up with a bang! We’ve got a lot of ground to cover with two weeks of news breaking ground, so make sure to find a cozy reading spot. Let’s see some of the latest highlights and check in with our latest client news. We’re looking forward to more news from the Exim team as they make sure everyone gets access to the main net. Big kudos to the tech team working above and beyond to help everyone! With new details regarding PayPie’s upcoming product, we’re excited to see the full extent of the platform come to fruition. With Daily Cash Position, Detail Customer Analysis, SME Cash Alerts, and the ever useful What-If Scenarios, PayPie’s platform is looking to be the one-stop shop that SME’s need to have full control of their data and cash flow. As the Cryptopia hack news stream continues, estimates have surfaced of just how much was taken from the exchange. A whopping sixteen million dollar value, with $880,000 already dispersed to exchanges in a bid to cash out the funds. To add to the total, it seems Cryptopia still can’t catch a break. With a new report of the continuous hack, the exchange itself is working with authorities concerning the ongoing issues. It remains to be seen if and how they will recover from the attacks. For those interested in the more technical side of crypto, a team from University of Illinois at Urbana Champaign has published an extensive article giving information regarding what they are calling a “Fake Stake” attack. This information is used to assist Proof-of-stake coins with their development and to bring attention to future decisions regarding the distribution model. 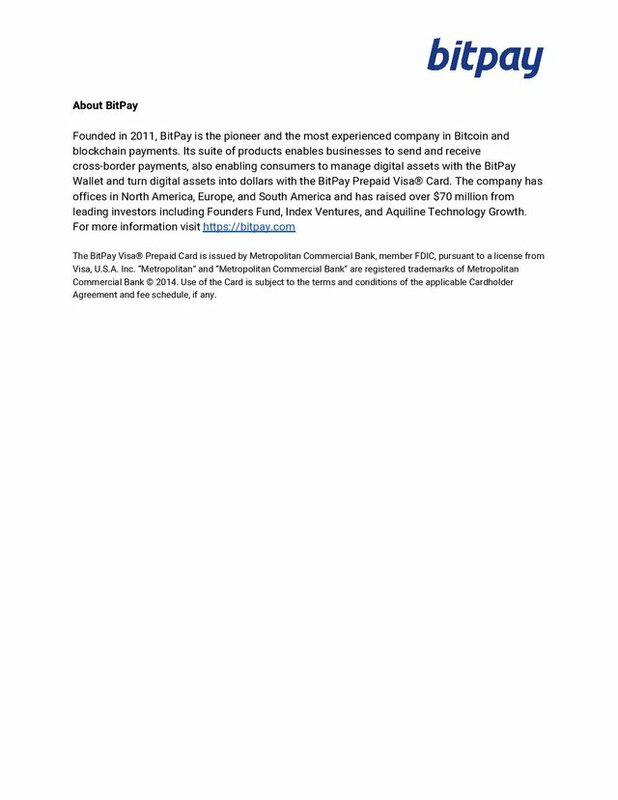 Wikipedia’s operators, the Wikimedia Foundation, has decided to shift gears from Coinbase to the Bitpay point-of-sale system to manage cryptocurrency donations. 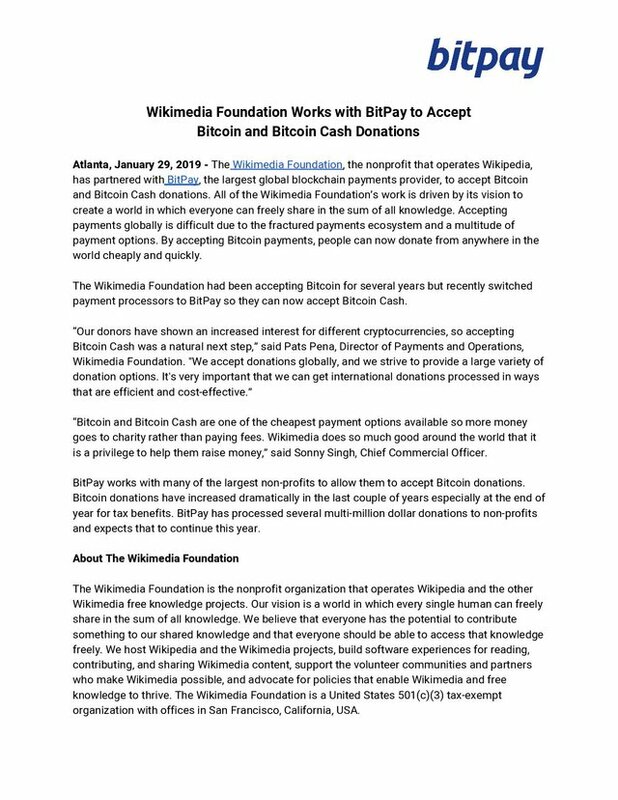 Given that Bitpay not only covers both Bitcoin, but also Bitcoin Cash payments, it seems Wikimedia is taking a logical step in the evolution of their nonprofit’s donation funding. Like all journalism, crypto news sites are often very competitive when it comes to breaking a story. That mindset seems to have brought popular news blog CCN under fire for reporting a story before all the facts were put in a row. With a voice of concern regarding a possibility of attacks on the ethereum chain post Constantinople, the hard fork has been delayed until all vulnerabilities are accounted for and sealed up tight. While this decision was made only hours before the fork, a sense of caution should always be considered a valuable asset in crypto. What a wild first month so far. We’ve had a lot of political debate exiting the 2018 year. China’s busy increasing their involvement in crypto , to the spreading tide of bitcoin ATMs globally, all the way to the states with Wyoming’s House introducing a bill that would allow companies to issue stock on a blockchain . It seems we may see a lot more legitimacy added to the technology than we saw in 2018. TEven JPMorgan’s chair of global research sees the value of blockchain solutions, stating that it would likely bring marginal improvement to financial systems. With news like this coming out, it’s always important to evaluate which projects may come out on top with a critical eye. We still see news of scams reaching far and wide, so it’s always important to research companies properly and keep an ear to the ground on potential threats. Until next week, this is Derek Clauson, signing off. What are your thoughts on the future of the crypto markets? 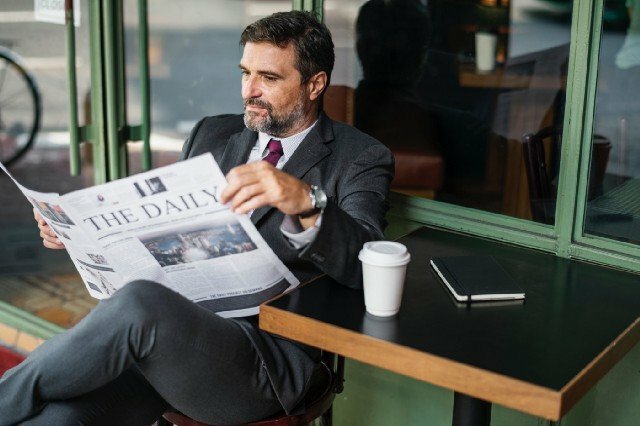 Have you seen an article you would like featured? Leave a comment below and let us know what you’d like to see in upcoming issues. We’ll see you next week, and remember to Keep Ngaged! This issue of Keep Ngaged was brought to you by the community experts at Ngaged. If you’re looking to nurture a great community of your own for your crypto or blockchain company, be sure to check out Ngaged.io and get in touch. To learn more, take a look at one of our recent articles on why community management matters . When not chasing down the latest news and strategies in crypto marketing, Derek spends his time helping build up successful blockchain companies through Ngaged.io and reading on the couch with his dogs. I have to admit that I’m surprised to the extent by which Cryptopia has been decimated. I always considered them sort of a B level exchange but I never thought they would go out like this.